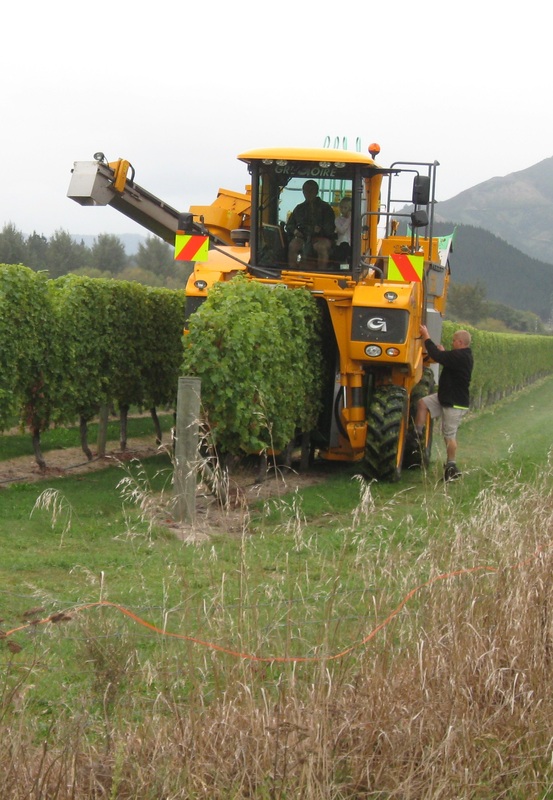 Since 2003, Marlborough-based Vineyard Timbers Ltd has been working to develop an industry based on home-grown, naturally durable timber posts for use in vineyards. 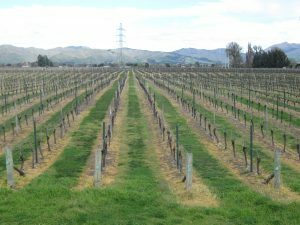 Between 2006 and 2009, around 1400 posts were supplied to six vineyard owners in the lower Wairau Valley to see how the posts performed in real conditions. The vineyard owners were keen to trial an alternative to the CCA-treated radiata pine posts commonly used in New Zealand’s vineyards. The posts have been in use for the past 9-11 years. In general they were found to be performing well, with low levels of decay and minimal breakage. Vineyard owners and managers gave valuable feedback on their performance compared to various other types of posts available. An estimated one million posts, or around 5% of the total, break and need to be disposed of (and replaced) annually. 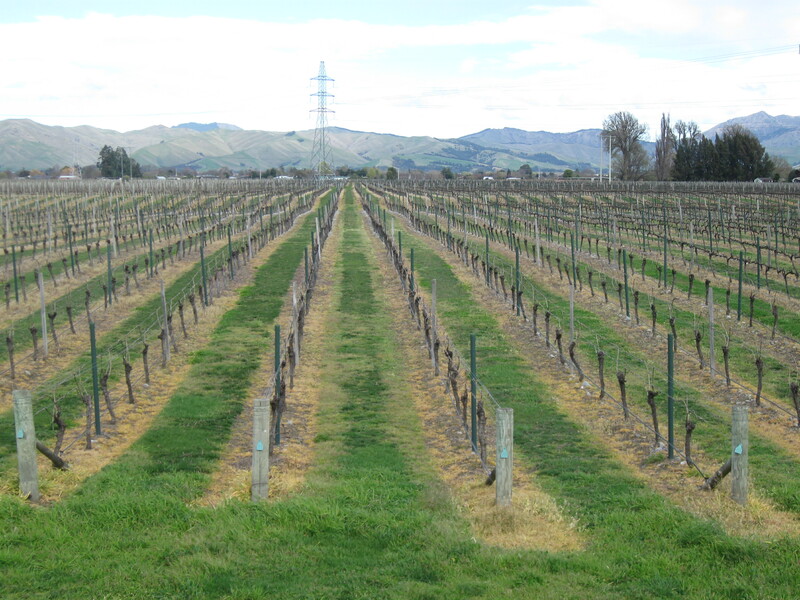 In Marlborough, New Zealand’s major wine-growing region, the District Council is supporting a proposal to build a pyrolysis plant so the problem of waste posts can be solved by burning them, with residues turned into charcoal. Such a plant may solve the disposal problem, but is already raising negative public reaction and leaves other concerns unaddressed. Naturally durable timber provides an attractive alternative to CCA-treated posts. Vineyard Timbers Ltd has identified a number of eucalypt species as having good potential to grow in New Zealand and supply durable timber. Not only is the eucalypt timber naturally durable (requiring no chemical treatment), it is also much stronger than radiata pine, and so less likely to break when hit by harvesting and pruning machinery. Between 2006 and 2009, timber from several promising species, including in particular Eucalyptus bosistoana (coast grey box), and E. globoidea (white stringybark), was sourced from existing mature trees and milled to produce vineyard posts. Based on their durability ratings (Australian Standard), the E.bosistoana posts are expected to last at least 20-25 years in situ, and the E.globoidea 15-20 years. 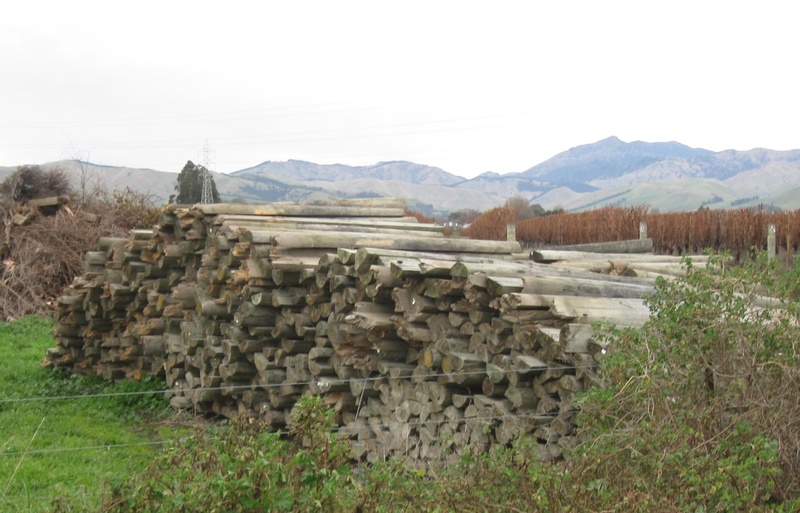 Around 750 E.bosistoana posts, 300 E.globoidea posts, plus 355 posts of other eucalyptus species, were purchased by six vineyards in the lower Wairau Valley. In 2017, the six vineyards were contacted and then visited. The vineyard owners or managers were questioned to gauge their experience and opinions of the posts. 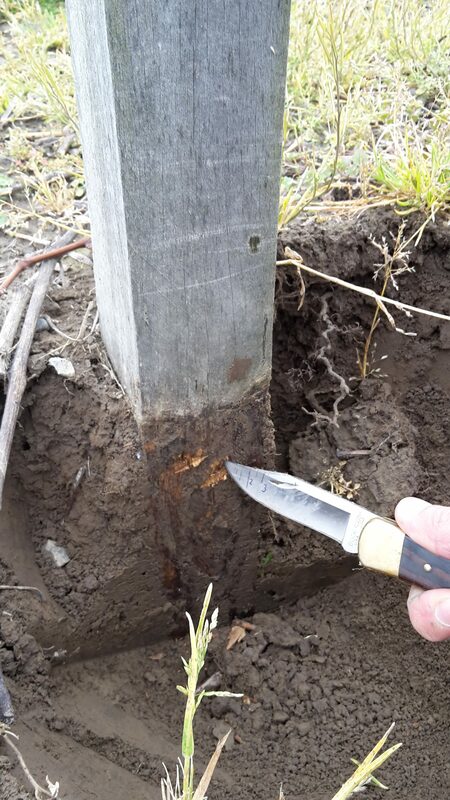 A sample of the eucalypt posts in use was also carefully examined to assess general performance and rates of decay. 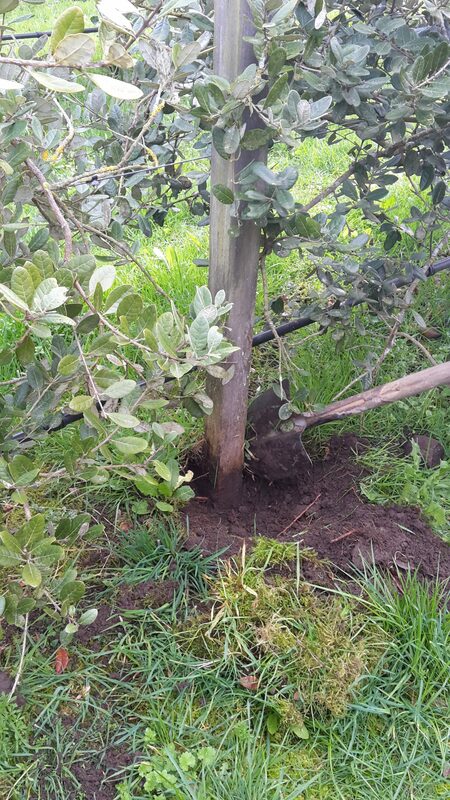 Four of the vineyards had installed the posts as replacements for broken CCA-treated posts; one used them in setting up a new vineyard, and another in a small feijoa orchard. Five owners manage their properties under organic standards, with mechanical harvesting and some mechanical pruning. Two also use mechanical under-vine cultivation. During visits to the vineyards, 1065 posts were found to still be in service. Another 14 were found broken, 1 failed from decay and 45 in storage. A sample of 150 posts in four vineyards was selected and tested for decay. Feedback about the posts was generally positive, thanks to their natural durability and hence acceptability for organic/sustainable production standards. Four owners said they would use the posts again, especially if supply was local, guaranteed, and certified as having come from sustainably managed forests. Breakages reported were minimal – only 14 in total – and mainly due to large knots in the posts (which could easily be avoided in future by quality control). One E. globoidea post had failed from decay, likely due to presence of sapwood. The main negative comments were about how hard the eucalypt timber is, making nailing or fastening wire hangers difficult. Pre-drilling was deemed necessary, and this is time-consuming. One owner also found some posts had twisted in storage due to cross grain. Two owners suggested the posts should be larger. Generally, E. bosistoana posts showed less decay than E. globoidea posts after 9-11 years in service. However, this analysis was confounded by site, as not all sites had posts from both species. E. bosistoana posts performed well at both assessed sites with many posts showing no sign of decay. Performance of globoidea was site specific. After 10 years in service E. globoidea posts at one vineyard had severe decay, thought to have been partly due to under-vine cultivation. Posts were performing well in other locations, however. Mechanical harvesting results in many broken posts each year. Broken half-round CCA-treated pine post awaiting replacement. Broken posts stock-piled in a vineyard. 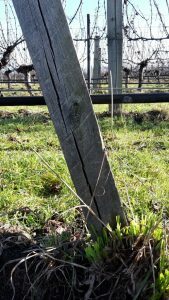 E bosistoana posts alternate with plastic-coated steel posts, Stembridge Vineyard. E. globoidea post ina Marlborough feijoa orchard. In-ground assessment of E.bosistoana showing virtually no decay after 11 years. 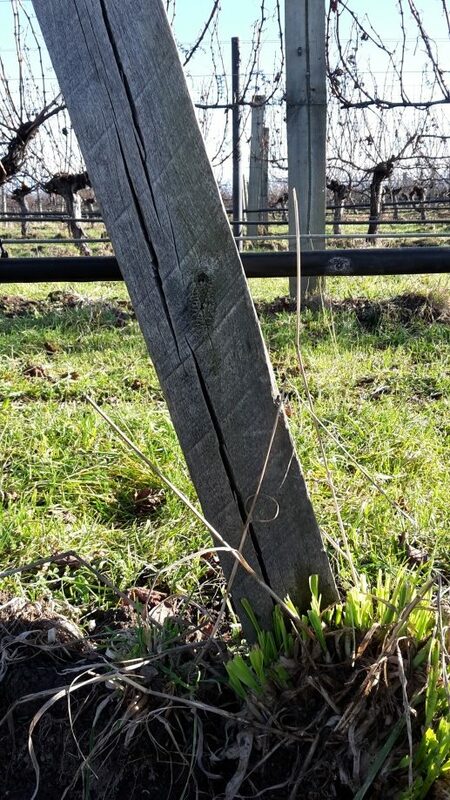 The posts assessed in this survey were not part of a dedicated scientific test to assess durability; rather they were part of commercial vineyard operations. 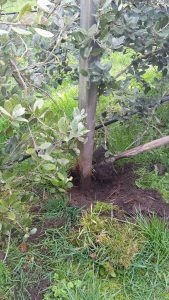 The feedback from vineyard owners/managers and the results of our decay assessments demonstrate that durable eucalypt vineyard posts of both E. bosistoana and E. globoidea provide at least 10 years’ useful service with low levels of breakage.